Nike gives some shine to Kevin Durant’s alma mater, the University of Texas, with this Longhorn-inspired sneaker. 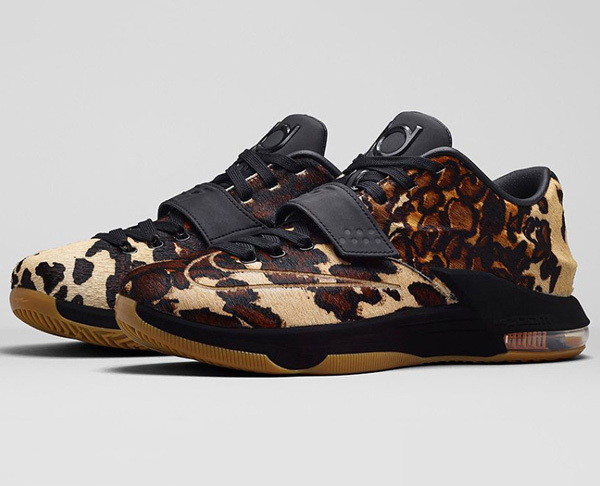 Taking the KD7 Lifestyle silhouette, Nike uses pony hair material to craft the upper as an homage to the Longhorn’s spotty hide. 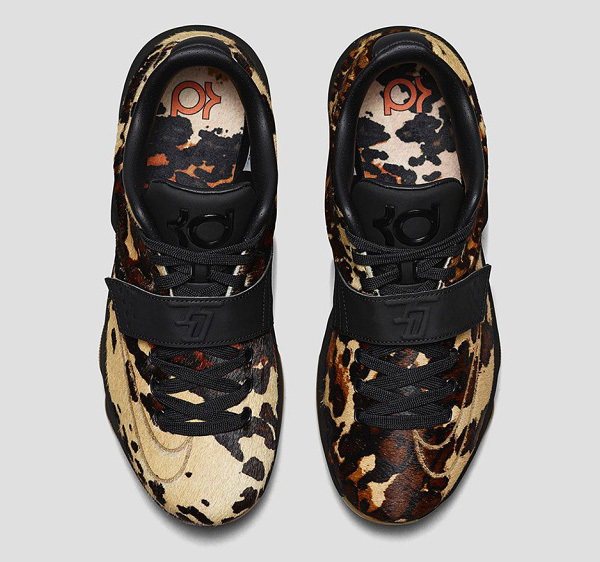 The “Longhorn State” KD7 Lifestyle Sneaker also features a suede midsole and “KD” branded strap, tongue and insole. Lastly, Nike’s Swoosh logo on the heel and toe are meant to celebrate two of Durant’s most important Longhorn-associated achievements: being the highest scoring freshman in the nation, and winning the college MVP of his one-and-done season at UT. 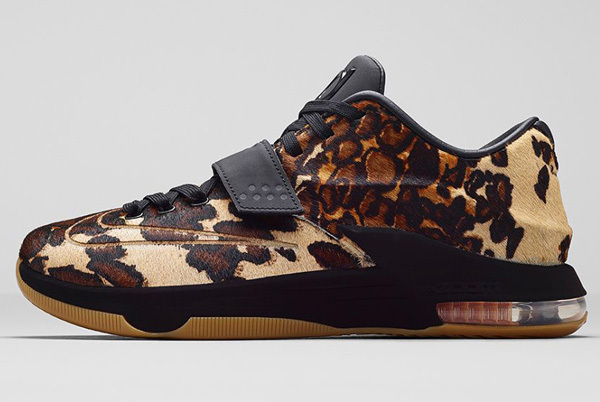 Pick up the “Longhorn State” KD7 Lifestyle Sneaker at the Nike store starting January 9th, 2015.